Mr. Sivakumar has close to two decades of global aviation experience with international carriers like Jet Airways and United Airlines. He holds a Ph.D. degree in Operations Research awarded by the State University of New York, Buffalo. At Jet Airways, he is responsible to develop and lead an appropriate network strategy, design and adjust to demand changes through modern Revenue Management principles. 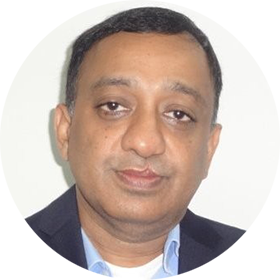 Mr. Raj Sivakumar was previously heading Travel technology and Strategy at WNS Global Services, a Global Business process management Company.